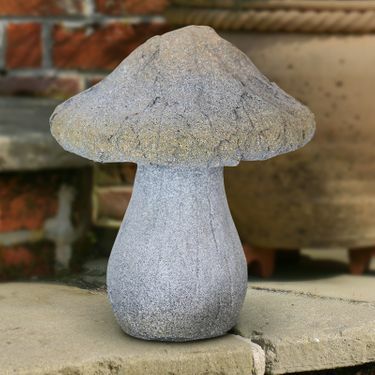 Enchantingly unique, this Solar Mushroom Statue makes a beautiful garden piece. A solar panel harnesses power during the day and transforms it into a glowing illumination in the evening. This mushroom will glow vibrantly after dark, adding delicate charm and personality to your garden, patio, flower patch or backyard.